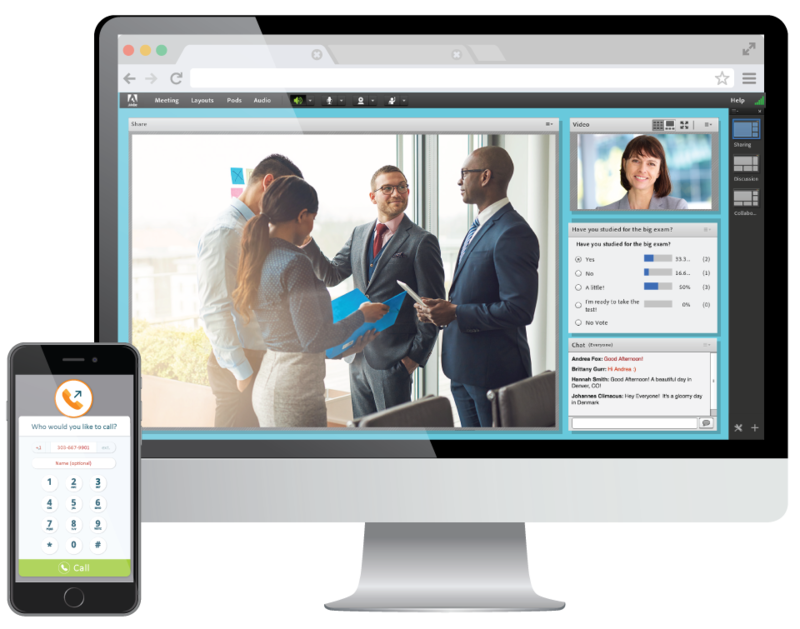 Enrich your learning programs with MeetingOne’s customized communication & collaboration solutions. Online education has become a key success component for schools & universities across the world. By reaching students globally, improving their focus and engagement, and better connecting them with teachers and trainers, the eLearning approach is becoming one of the most important silent revolutions of our times. Unfortunately, standard online learning lack power of face-to-face learning. Virtual classrooms provide the solution for success. Adding an interpersonal online environment with robust analytics and engaging features integrable into LMS platforms offers educators new ways to connect with students and measure course effectiveness. MeetingOne provides customized educational solutions to hundreds of institutions globally. Our Education Solutions offer award winning customer support, leading virtual classroom technology, quality integrated audio, and the ability to scale with your program’s growth. We provide all of these benefits from within top LMS platforms, or as stand-alone services. Choose your level of integration. 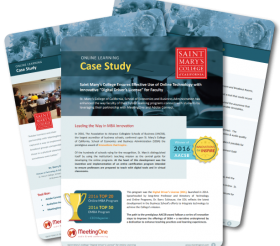 Hear how MeetingOne’s Edu solution for St. Mary’s College of California helped them develop one of the best Online MBA programs in the world! Tell us your goals. We can help you find the perfect set of products & services for your elearning needs to encourage enrollment, engage participants, and create effective virtual classroom courses.